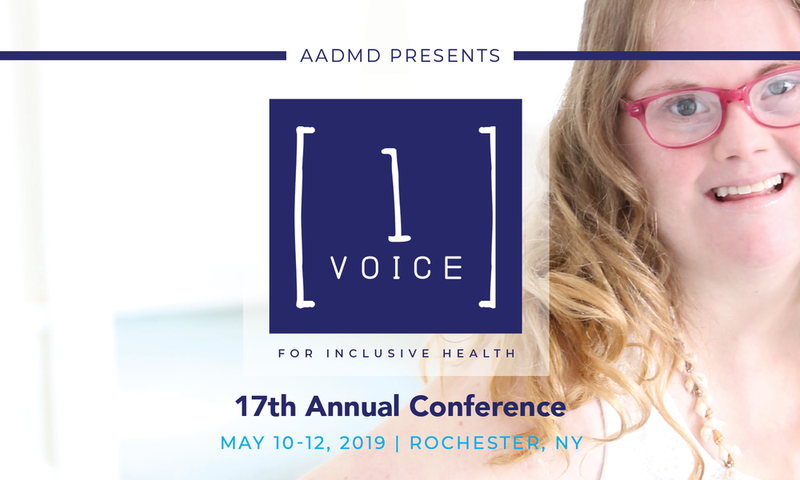 Rochester, NY--February, 2019--The American Association of Develomental Medicine and Dentistry's (AADMD) annual One Voice Conference will be held in Rochester New York, May 10-12, 2019 bringing business leaders and intellectual and developmental disability (IDD) professionals together to ignite change. 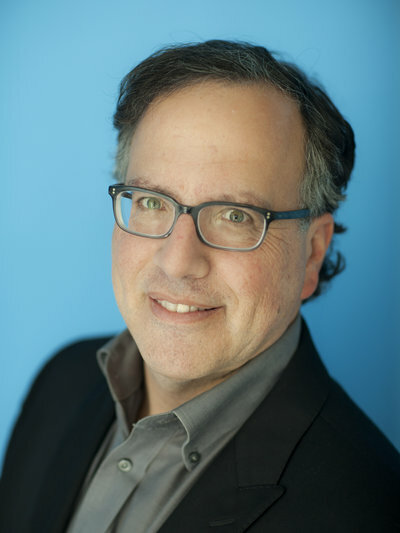 During this 3-day conference, attendees will hear from top keynote speakers, inlcuding NPR reporter Joe Shapiro, meet companies paving the way for inclusive health, participate in topical panel discussions and breakout sessions - and network with top medical professionals dedicated to inclusive health. AADMD Membership Discount: All conference attendees are eligible for a 20% discount on AADMD annual membership dues. Associate Membership, normally $100 per year, will be discounted to $80 per year and Professional Membership, normally $150 will be discounted to $120 per year. The discount is available to new, current, and previous AADMD members. CME, CDE, Nursing Credit: The conference will be offered for CME, CDE, and Nursing credit. Other professionals may receive certificates for CME or CDE and submit them to their professional bodies. Often these are recognized for purposes of continuing education credit. Hotels: A block of rooms has been reserved for conference participants at Hyatt Regency Rochester. You can make your hotel reservation through the link provided below. The link will be provided again at the end of your conference registration. Click Here to Make Hotel Reservations for the 2019 AADMD Conference! Plan Your Trip: Make the most of your Rochester visit - find the latest in entertainment, food/drink, sports, attractions and more at visitrochester.com. And don’t forget about Rochester’s Annual Lilac Festival, which kicks off the same day as our conference! According to the US General Accountability Office, adults with intellectual and developmental disabilities (IDD) continue to experience unnecessary deaths due to poor healthcare. AADMD wants to change this. AADMD is a non-profit organization of interdisciplinary medical professionals committed to improving the quality of healthcare for people with IDD. AADMD is teaming up with the Golisano Foundation in Rochester, NY for this cause. The 3-day conference (plus the One Voice for Oral Health Pre-Conference on May 9th) will bring industry leaders and IDD professionals together in One Voice for Inclusive Health. Organization, Congressman Adam Smith of the 9th District of Washington and many more! This year, attendees will hear from Congressmen and top keynote speakers - including award-winning investigative journalist, Joe Shapiro of NPR. Attendees will also get to meet others paving the way for inclusive health, participate in topical panel discussions and breakout sessions. We invite you to Rochester to join us in ONE VOICE. Let’s advance inclusive health together. American Academy of Developmental Medicine & Dentistry (AADMD) is a non-profit organization of interdisciplinary medical professionals including physicians, dentists, optometrists, neurologists and other clinicians committed to improving the quality of healthcare for people with IDD. Since 2002, the AADMD has connected clinicians across the world and prepared them to face the unique challenges in caring for people with IDD. The organization provides curriculum to schools, IDD training for clinicians and specialized information to families and caretakers in language that is easy to understand. Above all, AADMD aims to make sure that no person with IDD is left without access to quality health services. They are difference makers for people with IDD.